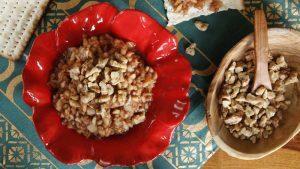 Home > Blog > Amy Campbell > What Does Insulin Do? The word “insulin” can instill fear in many people who have or who are at risk for diabetes. Some of the beliefs around insulin are that if you have to take it, you’ll go blind or lose a limb. Or that insulin causes you to gain weight. Or that it means your diabetes is worsening. While these beliefs are understandable, the reality is that they’re not true. In fact, insulin is a life-saving medication: without it, people with Type 1 diabetes wouldn’t be alive, and many people with Type 2 diabetes would be struggling. The discovery of insulin is so important that it’s often called one of the greatest medical developments of the 20th century. 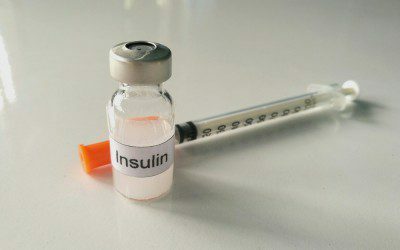 This week, let’s delve into insulin and learn more about how truly amazing it is! What happens to insulin in Type 1 and Type 2 diabetes? Type 1 diabetes: If you have Type 1 diabetes, you must take insulin, either by injection or by insulin pump, to survive. Why? Type 1 diabetes is an autoimmune disease that destroys the beta cells in the pancreas. This means that the body can’t produce insulin (or at least enough of it). When this happens, the body literally can’t fuel itself, and it will start to use protein and fat stores for energy. This may seem OK, but blood sugar levels climb dangerously high. In addition, a serious condition called diabetic ketoacidosis (DKA) can set in, which, if not treated, can be fatal. Hopefully you can see why insulin is literally a life-saving medicine for those with Type 1 diabetes. Type 2 diabetes: The situation with insulin in Type 2 diabetes is very different from that in Type 1. Type 2 diabetes is a condition of insulin resistance, meaning that muscle, fat, and liver cells do not respond properly to insulin, and they can’t easily absorb glucose from the bloodstream. As a result, the body needs higher levels of insulin to help glucose enter cells. Those beta cells in the pancreas start to work overtime to keep up with the increased demand for insulin by making more and more. Insulin levels in the bloodstream may be high. But eventually, the beta cells exhaust themselves and can no longer keep up with the body’s demand. Glucose levels in the bloodsteam build up, and prediabetes or Type 2 diabetes can set in. Is there an insulin “pill”? You might be wondering why scientists haven’t come up with an insulin pill. It would be so easy to swallow insulin in a pill or capsule form, wouldn’t it? Unfortunately, at this time, no oral form is available. But it’s not for lack of trying: Researchers have been working on this for at least 80 years. The problem is that insulin, as mentioned, is a hormone, and most hormones are types of proteins. The digestive tract breaks down proteins, and insulin is no exception. Insulin in a pill form wouldn’t make it through the digestive tract to do its job of regulating blood sugars. In addition, insulin would have a tough time passing through the lining of the intestines into the bloodstream. But let’s not give up hope: Various drug companies are busy plugging away at this issue in hopes of coming up with an oral insulin that would do away with injections. Next week, we’ll take a closer look at how insulin is injected, as well as the many different types of insulin that are available. Amy Mercer has traveled enough with Type 1 diabetes to know what not to do. Bookmark DiabetesSelfManagement.com and tune in tomorrow to learn more.